Join us for The Retreat 2019! Let me introduce myself, I am Clarissa Rayward- a wife, mum and divorce lawyer who runs a multidisciplinary family law practice in Brisbane during the day but I tend to spend much of my ‘night hours’ working with lawyers just like you! 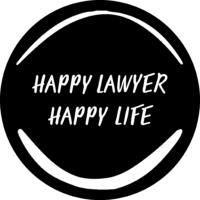 In 2016 I launched what I like to call my ‘side hustle’ a venture now known as ‘Happy Lawyer, Happy Life’ in response to the growing number of lawyers and other professionals reaching out to me looking for ways of finding ‘Happiness’ in their careers. I have since then established a podcast, written a book, created an online course and an online mastermind program “The Club” to provide a complete knowledge centre for lawyers looking to make the best of their lives in and outside of the law. I would love to have you join us over 8-9 November 2019! Bring your partner, friends and family and enjoy a legal conference like no other! You can register your interest below where I will hit your inbox with a Retreat Pre-sale special! ** Reservations for this event are non- refundable. However, you do have the option of transferring to a friend or an alternate course of similar value. Please contact Sarah on hello@happylawyerhappylife.com to arrange. Two full days of workshops and fun! Meets your local CPD requirements. One CPD point for each hour of attendance. If you are wanting to access discounted members pricing come join “The Club” and secure your ticket to save up to $780! You can register here. I have implemented lots of changes… I certainly wasn’t thinking about doing a Podcast when I was at the Retreat (in fact the thought hadn’t even crossed my mind) but I wouldn’t have done it were it not for the Club and the Retreat. I can take a better selfie because of Jason Malouin’s workshop. I did an audit of my accounts because of another workshop. I’m more confident in my brand and have made changes… I created the Surrogacy Sisterhood Day. Wrote more content… My instagram has become more of a focus and I’ve tripled my followers… I feel like I still have lots to learn and so much to do but I would not have made it this far without The Club and The Retreat. The retreat was a game changer for me. I am totally on track with the rainbow chart I mapped out at the retreat and built on from there… I had a massive “aha” moment there when I realised that I had been keeping my feet in two separate boats (succession law and business law) and that I needed to pick my boat and niche further still. I hit my goal to get my book to the editor and put in submissions for an award… I reckon by the time the 2018 retreat rolls around my firm will look completely different! The retreat made me commit to the podcast… (it) definitely provided lots of food for thought – and it was most useful to think about the business you want to create and the life you want to live – and then work out how you are going to get there! Director of Brisbane Family Law Centre and Happy Lawyer Happy Life.